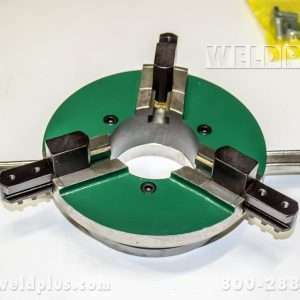 This Pandjiris model B gripper welding chuck has features that make it perfect for pipe welding fabrication shops. 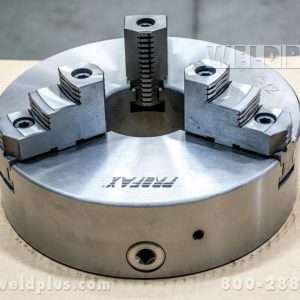 It has adjustable quick change reversible jaws that can be positioned for small and large diameter work pieces. 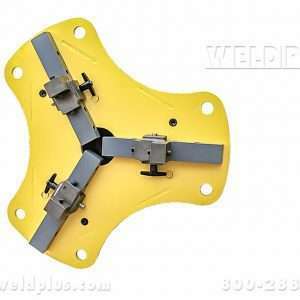 This is a heavy duty unit and has a completely enclosed face that prevents flux and weld spatter problems which protect the operation of the pipe chuck. 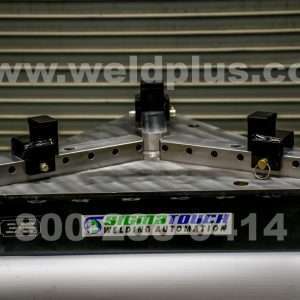 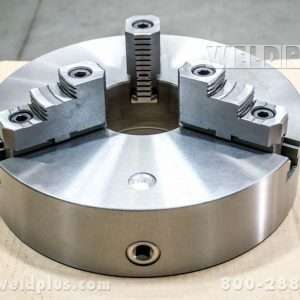 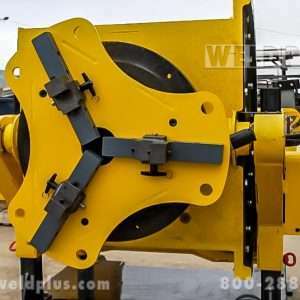 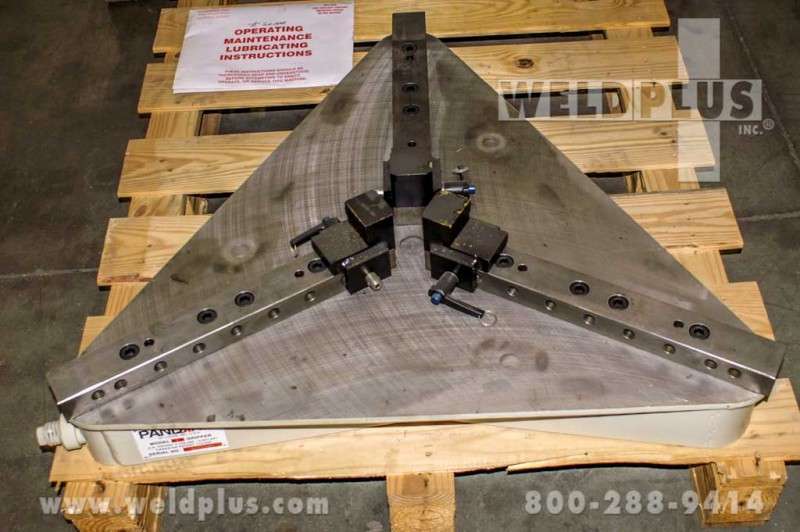 Contact Weld Plus about the Pandjiris model B pipe welding chuck. 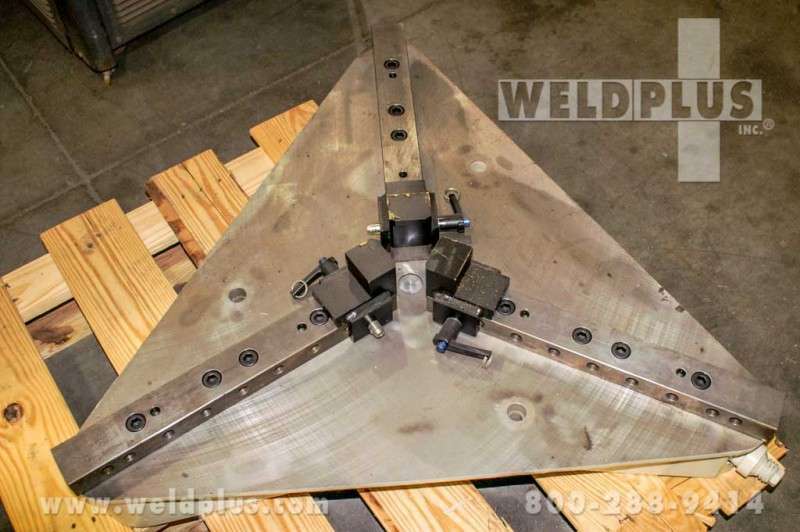 These chucks are in stock at our Cincinnati, Ohio warehouse. 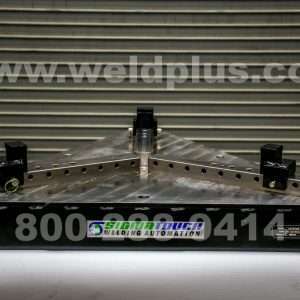 We also carry a full line of Pandjiris products both new and used. 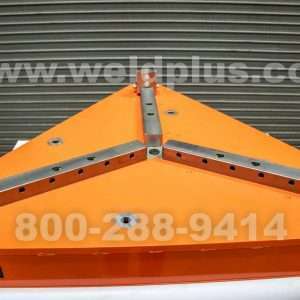 Call us for all your welding solutions. 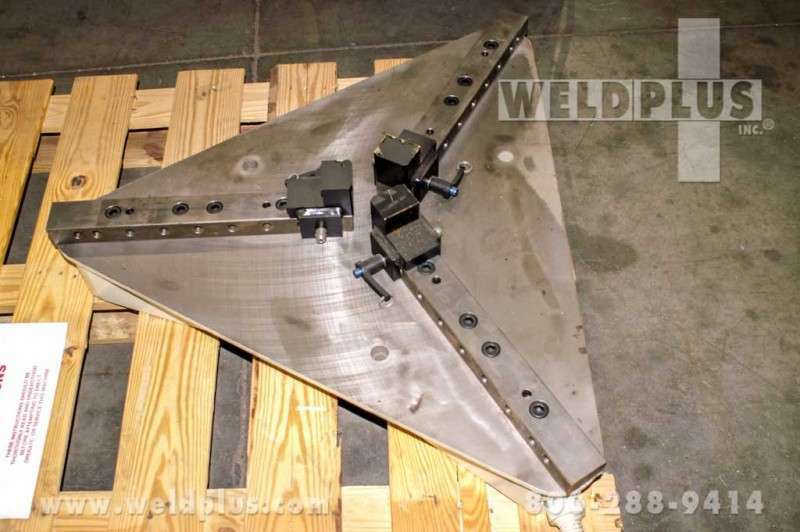 We know welding!